Immigration Minister Nabila Makram said the Global Conference of Human Fraternity, hosted by Abu Dhabi, is a distinguished gathering that represents a special and historical event that raises the Arab and humanitarian values. Makram was speaking on Tuesday for the official page of Al-Azhar on Facebook on the fringe of her participation in the conference. The conference reflects the profound vision and enlightened intellect of the Grand Imam, she stressed. She hailed holding the conference in the UAE where more than 200 nationalities live. 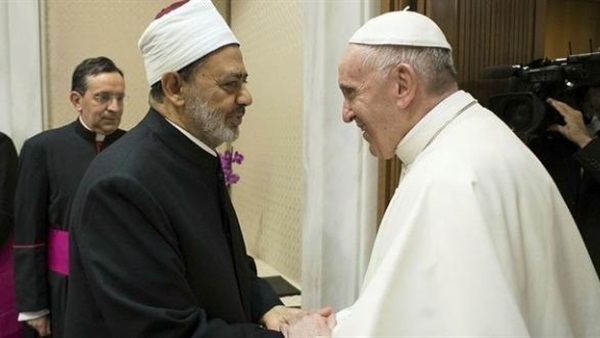 The participation of the Grand Imam and Pope Francis boosted the event's role in supporting fraternity and tolerance among different religions, she added.